Last month, I had the privilege of receiving one of two Postgraduate Science Excellence in Outreach Awards from the University. It was for my work on the MammalWeb citizen science project, and I’d like to share with you how I was just one person in a team and the many ways everyone can participate in science. The Earth’s ecosystems are mind-bogglingly complex, and humans are influencing them on a global scale such as by destroying rainforests or amplifying climate change. In order to begin to examine the ramifications of our impact on this planet (and ultimately on ourselves), an important step is to study the diversity and distribution of wildlife. For my PhD research, we were inspired by the annual breeding bird surveys that happen around the world. Every year, thousands of bird watchers would share their bird observations which are collated into a huge global dataset. Ecologists use this valuable data to paint a picture of how many of which species of birds are where and how they migrate. This led us to ask if a similar effort could be done for mammals? Since wild mammals generally occur in much lower densities, and many are nocturnal (only come out at night) and “shy”, we decided to observe them using motion-sensing “camera traps“. These are weatherproof digital cameras that take photos whenever something moves past them. Once set up in the wild, these cameras provide a non-intrusive way for ecologists to monitor where and when mammal species show up. However, to get useful data, a scientist has to set up many of these cameras (sometimes 100+ of them) across a wide geographical area. This can be logistically overwhelming, and is the reason why we started MammalWeb. 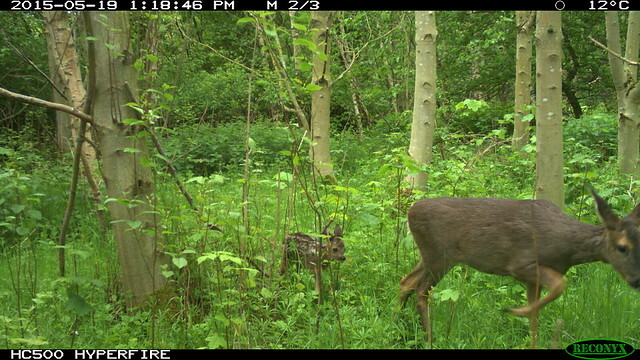 Roe deer (and baby roe deer) caught on one of MammalWeb’s “camera traps”. Source, shared under CC BY-SA 2.0. 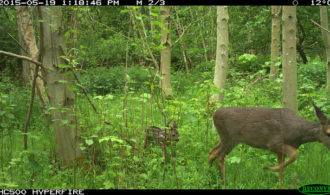 Since 2015, we have enlisted the help of more than 70 community members – including students and staff at Durham University – to set up camera traps across north-east England. These “citizen scientists” submit the photos from those cameras to our MammalWeb web platform (@MammalWeb on Twitter; www.MammalWeb.org) where anyone with an Internet connection can log in and help identify and record the animals in the photos. To date, hundreds of MammalWeb citizen scientists have contributed or classified more than 230,000 wildlife photos. This data is especially useful for not just ecological research, but also for managing – and improving our relationship with – our shared natural heritage. Go here to read about our most recent results. Please do check out our website and participate, or look at some photo/video albums here and here to wet your appetite! 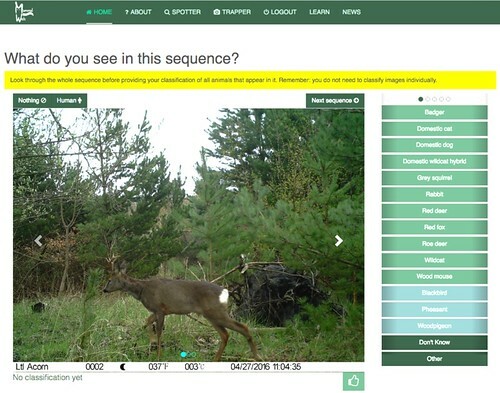 Screenshot of MammalWeb interface for classifying camera trap photos.Source, shared under CC BY-SA 2.0. Outside of MammalWeb, I have been involved in science outreach since 2003. It started with raising awareness around marine plastic pollution. Later in my academic career, I was part of a team that studied the impacts from the 2010 Deepwater Horizon oil spill to marine life. On a research ship in the Gulf of Mexico, I directed research dives by remote-operated vehicles (ROVs) and hosted video live streams to engage an online audience. Exploring the deep-sea in the DSV Alvin. Source, fair use. More recently, I won a grant from the British Ecological Society to guide secondary school students from Belmont Community School in designing their own ecological outreach activities. You can view the project video: here . The students I worked with even had their own stand at the 2017 Celebrate Science festival here in Durham. I’ve also received multiple “Best Talk” awards, such as at the last BES annual meeting for my talk on MammalWeb’s citizen engagement. You can view a recording of the talk: here . Notably, I am an accredited presenter for the international Climate Reality Project, and was personally trained by former US Vice President Al Gore in delivering public talks on climate change. To pursue my interest in science communication, I also did formal coursework in the design and delivery of science outreach activities. On top of that, I received a scholarship from the Ustinov College Global Citizenship Programme to organise their “Café Scientifique” series of events. We’ve held a family “science day” and even set up a tour for a group of primary school students to meet our highly-international community and see what university life is like in Durham. 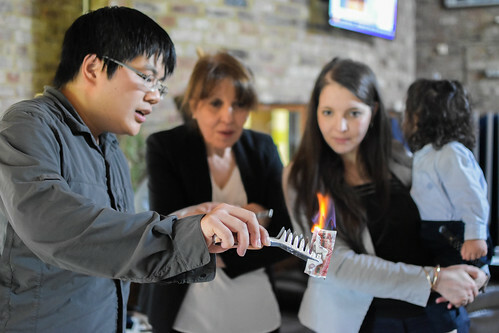 A demonstration on Ustinov College’s 2016 science day. Source, shared under CC BY-SA 2.0. 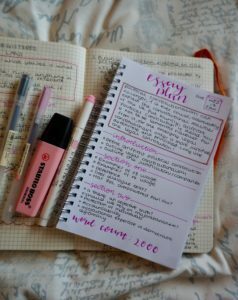 I mention these things because I started doing most of them as an undergraduate in university! If you are also an undergraduate or postgraduate, doing science outreach is an extremely rewarding activity, and many departments including the science outreach team at Durham University will be excited to have you participate! I am lucky to be part of the MammalWeb team. Over the years, however, I realised that citizen science isn’t just about scientists asking volunteers to help collect or process data, it is also about how science can help us be more engaged citizens. 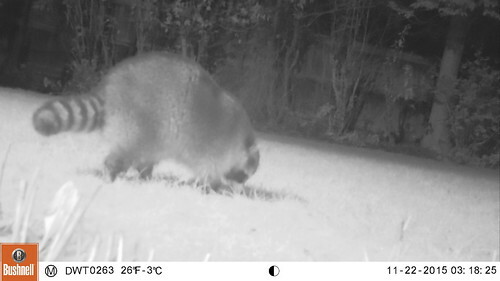 Raccoons are not native to Britain, and MammalWeb citizen scientists helped apprehend this one. Source, shared under CC BY-SA 2.0. For example, MammalWeb citizen scientists have started their own ecological surveys to inform public planning, given camera trapping workshops to other wildlife groups, and even tracked down and helped apprehend a rogue raccoon! Most of these people are not professional scientists, but they have incorporated science into their civic participation. In other words, these are great examples of science and citizenship in action together. When reflecting on these stories, I realised that the very first beach cleanup I organised in 2003 was also a form of civic action. Whatever you do during your time in Durham or after, don’t let “I am not a scientist” prevent you from learning about science and letting it be part of your life! 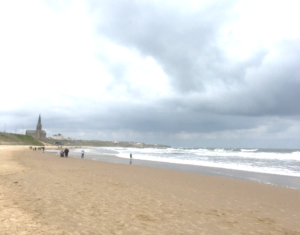 Lastly, I’d like to express my gratitude to those who have helped me so much during my PhD at Durham University: My supervisors including Dr Philip Stephens (@PS_Applied_Ecol), organisational partners like the Durham Wildlife Trust (@durhamwildlife), the Smart Earth Network (@Smart_Earth_Net), or the British Ecological Society (@BritishEcolSoc), school partners including Mrs Julie Ryder and Mr Pete Goodyear at Belmont Community School(@Belmont_School), Dr Lorraine Coghill (@LorraineCoghill) of the University’s science outreach team, and Dr Rebecca Bouveng of the Ustinov Global Citizenship Programme(@UstinovGCP). This article is shared under the Creative Commons Attribution-ShareAlike 4.0 license. I am a PhD student in the Department of Biosciences at Durham University. My research group (@CEGDurham) studies the ecology and conservation of the Earth's biodiversity, and I help run the MammalWeb (@MammalWeb) citizen science project to monitor Britain's wild mammals.